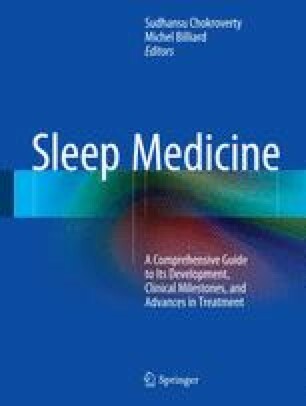 The clinical observation of sleep alterations in mood disorders is really ancient and dates back to 400 AD with Hippocrates. Sleep disturbances and dysregulation of circadian rhythms are core elements in bipolar disorder. Indeed, stable sleep–wake cycles are of central importance to the maintenance of mood stability; sleep loss can trigger mania in patients and impaired sleep may represent a vulnerability to relapse into both pathological phases of illness. Since the 1950s, many polysomnographic studies have been focusing on sleep characteristics in bipolar depression, finding alterations in electroencephalogram (EEG) sleep patterns. Several circadian rhythm theories have been proposed to explain the observed links between sleep physiology and depression. Not only has the study of sleep contributed to the understanding of the disorder but also the manipulation of sleep through sleep deprivation has been demonstrated to be useful in the treatment of bipolar depression.